National Day Golden Week, celebrating China’s National Day, is one of the country’s longest national holidays, lasting from Monday 1st to Sunday 7th October this year. Similar to Chinese New Year, it is also an extremely popular time to travel for the Chinese, with many taking advantage of the rare week-long break to enjoy a relaxing vacation at home or abroad. But what evidence is there to suggest that this year’s Golden Week will be huge, and how can travel brands prepare for and take advantage of the potential influx of Chinese tourists? What happened with Golden Week 2017? The success of last year’s Golden Week put the national holiday on the global map and cemented its significance. 705 million domestic tourists travelled around China during the eight-day break in 2017, around half of China’s 1.4 billion population, and tourism income reached 583.6 billion yuan (£64.71 billion). These figures represented a year-on-year increase of 11.9% and 13.9% respectively – huge results for a rapidly growing tourism sector. In terms of overseas travel, it was estimated that around 6 million Chinese tourists travelled abroad, visiting 1,155 cities in 88 countries or regions. One of the most popular destinations was Russia, as well as Southeast Asian destinations including Thailand, Vietnam, Singapore and Malaysia. Czech Republic and Hungary were also popular destinations, and on the whole, Belt and Road countries benefitted from the holiday. 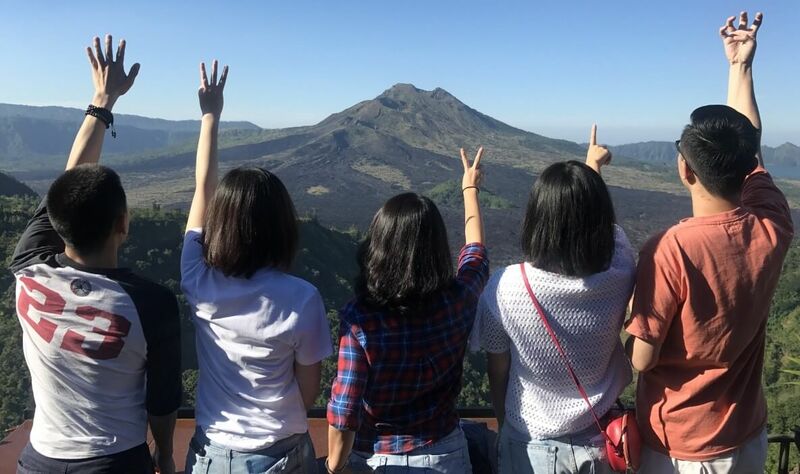 During this holiday period, Chinese travellers abroad tended to travel independently rather than in group tours, and they were looking for unique experiences rather than luxury outlets to spend their cash with, perhaps making the most of their relatively short travel time to visit essential, authentic attractions. For example, In France Chinese visitors frequented idyllic villages and museums as opposed to the traditional tourist sites, and in the US, they mainly attended shows and basketball games. That’s not to say they didn’t go shopping; data from WeChat found that over Golden Week 2017, 52% of outbound Chinese tourists shopped at duty free retailers. Restaurant and retail spending was also staggering, reaching 1.5 trillion yuan (£166 billion) over the holiday period. Chinese tourists who travelled to the UK for Golden Week spent £29 million with retailers and £11 million in London alone. Tourists were likely drawn to the UK for its cheap pound due to the previous year’s Brexit vote. Figures concerning accommodation bookings made during this period also shed light on the holiday’s success. Airbnb recorded a 32% increase in overseas bookings during the period, and Tujia, a Chinese online vacation rental site targeting the country’s middle to high-end travellers, witnessed a 400% year-on-year increase in their bookings, and an average per room per night spend of 557 yuan (£61) during Golden Week. While that all sounds brilliant, what are the predictions for 2018’s Golden Week? We’re very fortunate that this year, Chinese citizens could potentially take sixteen-days’ worth of holiday, which is more than enough time to comfortably travel to and experience an international destination. This is because the Mid-Autumn Festival, the national holiday held on Monday 24th September, gives Chinese citizens a 3-day weekend, and if the rest of the week is taken off, it will roll into Golden Week commencing on 1st October. Is there a better time for Chinese tourists to travel abroad!? Roughly 7 million Chinese tourists will travel internationally during Golden Week this year, accounting for approximately 5% of the year’s total number of Chinese outbound tourists. The top short-haul destinations are likely to be Japan, Korea, Thailand, while for long-haul, the US, Russia and the UK are expected to attract the bulk of international travellers. It seems like Chinese tourists really want to make the most of this extended break; 30% more Chinese travellers than last year have decided to take off the last week of September. Furthermore, despite reports that outbound travel prices during National Day have risen up-to 30% year-on-year, Chinese travellers seem unfazed by this as almost all flights for the booking period have sold out, and only economy seats remain on available international flights. We can expect great things from Russia this Golden Week – the country has recently attracted record numbers of Chinese tourists to their shores. From January to July 2018, Russia saw a 150% increase in Chinese visitors compared to the same period in 2017. Obviously, the FIFA World Cup was an influencing factor in this, having alone welcomed 50,000 Chinese tourists. Likewise, the UK may be a popular destination of choice as it has seen significant growth in Chinese tourist numbers over the past few years. The country welcomed 337,000 Chinese tourists in 2017, a 29% increase from 2016, and spending was up 35% at £694 million. Furthermore, Chinese tourists spent $2707 (£2060) per arrival to Britain in 2017. This is more than the average spend of Chinese outbound travellers, which about 7,300 yuan (£810), and over three-times that of the average tourist visiting the UK. There is some evidence suggesting the UK may have a great Golden Week this year. According to Ctrip, the average prices for UK packaged tours during Golden Week fell 20% year-over-year, and the majority of tours were fully booked a month before. Other destinations are making a considerable effort to prepare for and reap the benefits of Golden Week. Tourism Toronto has launched a Golden Week campaign with Alipay allowing Chinese users to redeem special offers via the app for participating retailers and attractions in the Canadian city. Golden Week is a fantastic opportunity to show how ‘China Ready’ your travel brand is, and your eagerness in accommodating the rapidly growing Chinese market. If you’re a retailer, Chinese tourists will expect to be able to pay for items abroad using mobile payment apps such as Alipay and WeChat Pay, so introducing these services may entice them to spend more with you. Mandarin shopping directories, Chinese-language restaurant menus, and Mandarin-speaking staff will go a long way to improving your ‘China Welcome’, and word will get around quickly on Chinese social media about your efforts to accommodate Chinese visitors. With the pace Chinese global tourism has been growing recently, we can only hope for another thriving Golden Week! If you are interested in the benefits of attracting more Chinese visitors, please contact us for a chat. Selecting Travel KOLS: How do we choose our bloggers? Explaining Chinese Payment Systems – What’s the fuss about?